The world’s newest and most elegant Solar Energy Solution has finally arrived. CoolPV is not your typical residential solar PV system. CoolPV is a premium solar electric system that generates electricity and heats water using the same panel on the same roof space. Because the solar electric panel is “cooled” CoolPV can generate up to 4x the energy than that of a stand alone Solar Electric System! 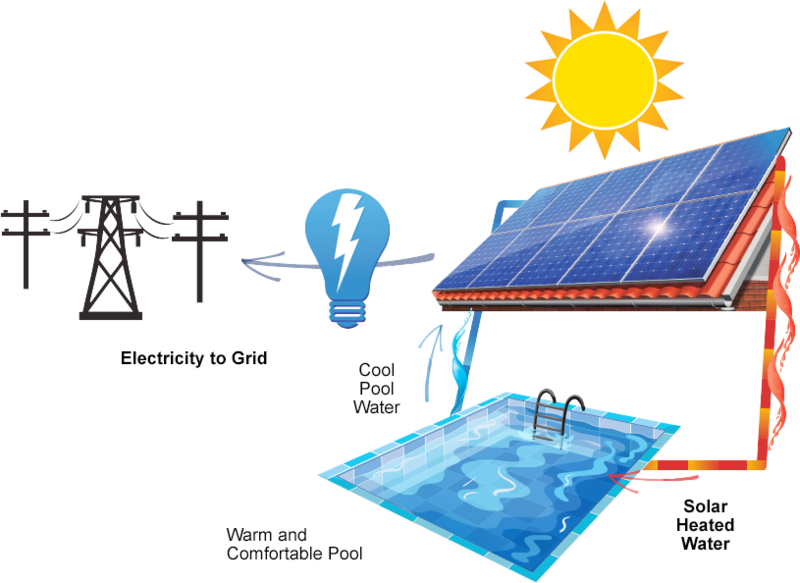 CoolPV’s technology allows you to improve PV electrical output significantly while generating warm water to heat your water or your pool. You can lower your electric bill with renewable, sustainable solar power and drastically reduce the amount of money you spend on energy. CoolPV’s solar pool heating system significantly extends your swimming season, enabling you to fully enjoy warm pool water from spring to fall. FAFCO®, the oldest and largest U.S. solar thermal manufacturer, has changed the game in solar! CoolPV is a significant advancement in solar technology! See who in your area has used Diablo Solar. Save money and reduce your carbon footprint. Take advantage of the 30% Federal Solar Tax Credit before it expires. Call Diablo Solar today at 925-313-0600. FAFCO takes great pride in having all of its products manufactured in Northern California. CoolPV is the answer to many of the challenges faced by customers who want both Solar PV and Solar Thermal. SolarWorld is a solar pioneer, one of the world’s largest solar-technology producers and the largest U.S. solar panel manufacturer for over 40 years.